The Steveston Community Society is an association of volunteers dedicated to maintaining a positive, pioneer “Spirit of Steveston”, by providing cultural, social & recreational opportunities for all members of the community. In 1944, a group of Steveston citizens formed the Steveston Community Society to “go into the matter of parks and playgrounds for the township of Steveston”. In 1946 the group organized the first Salmon Queen Carnival with a goal of raising $1,000 to build a playground; they raised $4,200! With the extra money, they purchased a parcel of land on which the Steveston Community Centre was eventually built, opening in 1957. The enduring “Spirit of Steveston”, the commitment made to this community by our pioneering families, is still as strong today with the current members of the Steveston Community Society. The Society Board of Directors are a group of volunteers, residents like yourself, who are passionate about our community and want to make a difference. The Society’s primary role is to work in partnership with the City of Richmond to provide the programs and services offered at the Steveston Community Centre, a model that is used at all community facilities in Richmond. 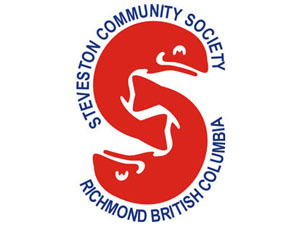 An active membership supports the ongoing objectives and activities of the Steveston Community Society. By becoming a member of the Society, you have an opportunity to help shape the community centre’s goals for the community. You can volunteer at the board or committee level, attend the Annual General Meeting, or simply support a strong and healthy community association by adding your name to the roster of members. Steveston Community Society - All rights reserved.